Captain America: Civil War featured a lot of familiar faces from the Marvel Cinematic Universe, but not everyone got to take part in the “fun.” One of the notable absentees was Nick Fury, the former head of S.H.I.E.L.D. who played a prominent role over the Phase One movies and later appeared in Captain America: The Winter Soldier and Avengers: Age of Ultron. 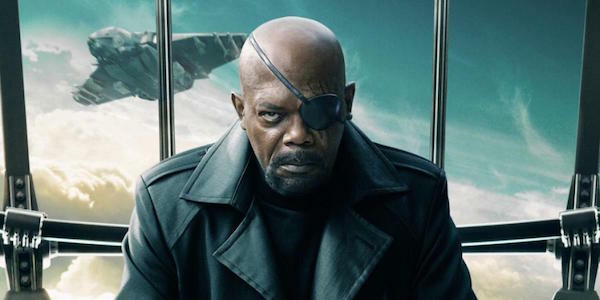 Although Nick Fury was present at the new Avengers base when we last saw him, he was nowhere to be seen during the movie, and that’s because the writers didn’t want the eye-patched spy taking a specific side in the conflict. Primarily it felt like one too many possible opinions. We didn't want him to take one side or the other, because that's not his place in the universe. And then we didn't want another, ‘Is he still with the government? Is he opposed to the government but supporting the government?’ It got to be the potential for a lot more polemic discussion that the movie did not have room for. Christopher Markus then compared Nick Fury to the “parent figure,” and they wanted the “kids,” a.k.a. the Avengers and other heroes, to settle this issue by themselves. As we can tell by the previews (in case you haven’t seen the movie yet), that obviously doesn’t go well. Assuming that Nick Fury’s absence in Captain America: Civil War isn’t addressed in an upcoming tie-in comic bookm miniseries, we can presume that he was somewhere else rooting out one of the last HYDRA cells. He may not be part of S.H.I.E.L.D. anymore, but he still has the spy blood. Although Nick Fury hasn’t been taken off the board permanently, his next appearance in the MCU hasn’t been officially announced yet. It was originally reported that he would appear in Thor: Ragnarok, but Samuel L. Jackson said last month that he expects to return in the Avengers: Infinity War movies. Christopher Markus and Stephen McFeely alluded that the latter would probably be the case, which makes sense given that Jackson has two movies left on his current Marvel contract. Assuming his deal isn’t extended, you want Jackson’s final appearances to be action-packed, and what better way to do that than by bringing him in with every other major protagonist in the MCU to battle Thanos? Although it’s Nick Fury-less, you can check out Captain America: Civil War in theaters now, and Samuel L. Jackson’s other upcoming movies include The Legend of Tarzan, Cell and Kong: Skull Island.